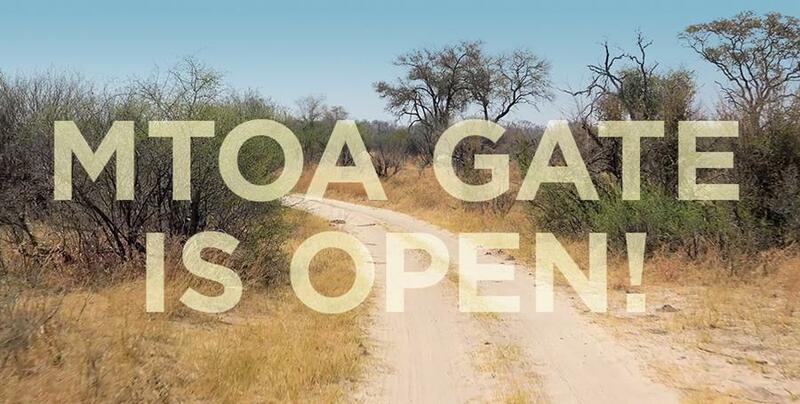 We are thrilled to announce the official opening of the new Mtoa gate from our lodge, Elephant’s Eye directly into Hwange National Park! Now, when guests head off on a full-day game drive in the park, they will save an hour’s journey in each direction as they will simply cross the road from the entrance to the lodge, drive through the wild outskirts of the park and after a short distance reach the Mtoa gate. The gate is named for the nearby Mtoa ruins, which date from 1450-1700 AD and had previously been inaccessible to all but the most determined visitors, but now adds a fascinating inclusion to the guests’ experience in the already celebrated park. Several natural water pans as well as a big solar-pumped pan along the way, allow for excellent game viewing. The usual highlights Nyamandlovu, Kennedy 2, and Ngweshla continue to be part of the game drive options but, in addition to more time in Hwange National Park itself, this route provides access to a new area to be explored: Sibaya which is known for its Painted Dog packs, as well as a resident pride of lions. The gate will be manned by Parks officials and has been in operation since 18 September 2018. Hideaways offers the splendour of Africa to the eco-conscious traveller with our extraordinary safari experiences in Southern Africa’s most exclusive wilderness conservation areas.